There are many tutorials and videos to choose from when looking for ways to perform computer maintenance, but these 15 YouTube videos are among the best for fixing anything from a blue screen error to a faulty mouse. Any number of things can slow down a computer, from fragmentation to temporary files. This tutorial explains how to delete temp files, remove extraneous files with Disk Cleanup, and defragment your system drives. Whenever your PC starts up, there are many programs that automatically launch and run in the background. Some of these processes are useful system processes, and some of them can be turned off to free up memory and make your computer run faster. By following this tutorial, you can perform basic maintenance and remove unnecessary processes. Sometimes your computer might lock up but not provide an error message. Even though your computer has stopped working properly, there may still a way to fix it without shutting down. This YouTube tutorial will help you be prepared for the next time your computer freezes. Not all of the files that can accumulate and slow down your computer come from new applications and old saved documents. By accessing certain sites online, cookies are saved on your computer that can affect your computer’s performance. This video offers tips for cleaning up cookies from web browsing and removing other unnecessary files with Disk Cleanup. 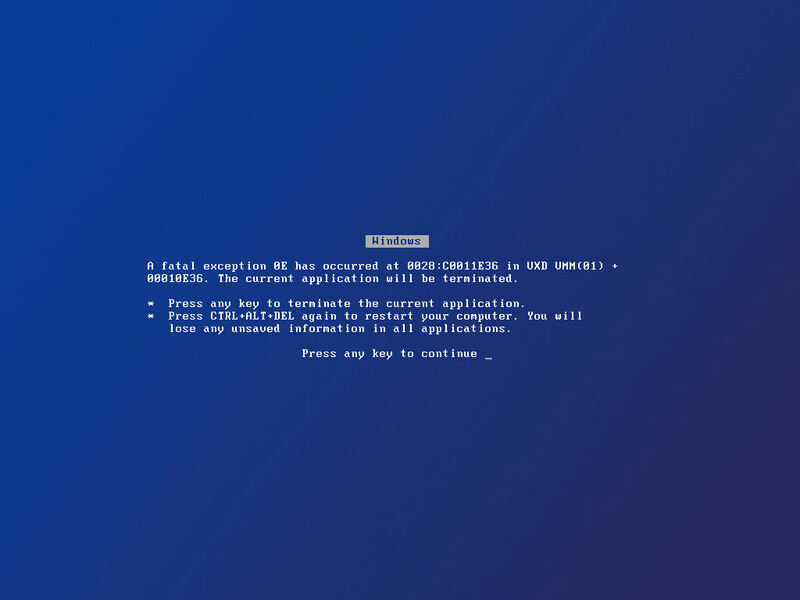 Nothing is worse than working for hours on your PC and encountering a blue screen error message before you can save. While there may not be any easy way to salvage those unsaved documents, these tips may get your computer back up and running quickly. Keeping your computer running efficiently depends a lot on software, but maintenance on the hardware is important, too. Follow the steps in this tutorial to open up your computer and clean out the inside of your computer. This video discusses how to change DNS settings to use OpenDNS, a free service that can increase browsing speeds. In addition to a faster connection, there are also free filtering and phishing protection options. If you own a PC ball mouse, over time dirt can build up and affect how well the mouse works. Follow this tutorial to remove and clean the ball and make your mouse work like new. The Mac Mighty Mouse has a small ScrollBall that can scroll in all directions, but unfortunately due to its size it can get dirty quickly and prevent the mouse from scrolling properly. By cleaning the mouse as shown in this tutorial, you can remove dirt buildup improve possibly fix scrolling issues. Changes to your system and general use will affect the performance of your Mac over time. By using the Disk Utility that comes with your Mac about once a month as shown in this tutorial, you can repair any damaged files and get your computer running at top speeds. Few things are scarier than pressing the power button on your computer and having nothing happen. If you have a Macbook, the steps in this tutorial may help you diagnose and fix your Mac. The last thing you want to get from a website is a virus on your computer, but in case it does happen there are ways to fix it. The Spybot Search and Destroy software shown in this YouTube video can help you get rid of viruses on your computer with ease. Think you might have a virus but don’t want to pay for antivirus software or download a program from online? Follow the steps in this tutorial to remove viruses manually by using the command prompt and identifying unusual executable files. If you’re trying to delete a virus executable file, you may need to shut down the virus process first. This video offers tips for shutting down the virus process in the Windows Task Manager and then remove the virus. Manually checking for viruses on a regular basis can be time consuming, but there is software out that that will check for viruses on your computer automatically to keep you protected. In this video, learn the basics for how to download and use Microsoft Security Essentials to keep your virus definitions up to date and regularly scan your computer for viruses. With the tips and tricks from these videos, your PC or Mac should be running good as new in no time!